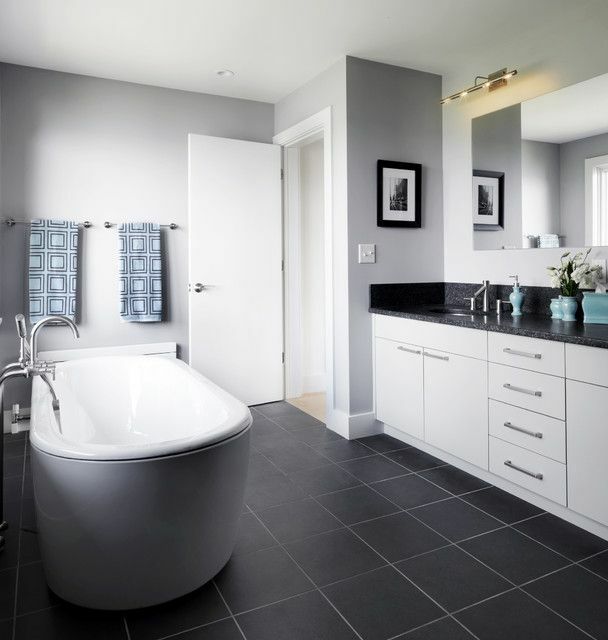 Dark grey is similar to black so it is usually combined with the same colors when interior remodeling. 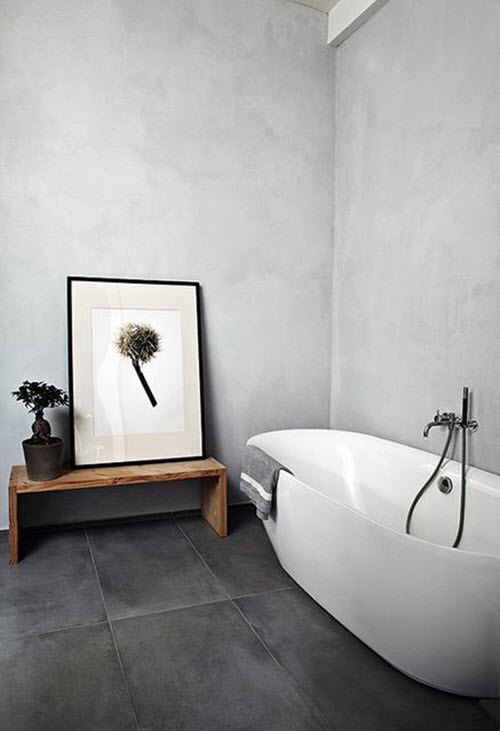 It looks great in contrast with white but the best option is to match it to other shades if grey. 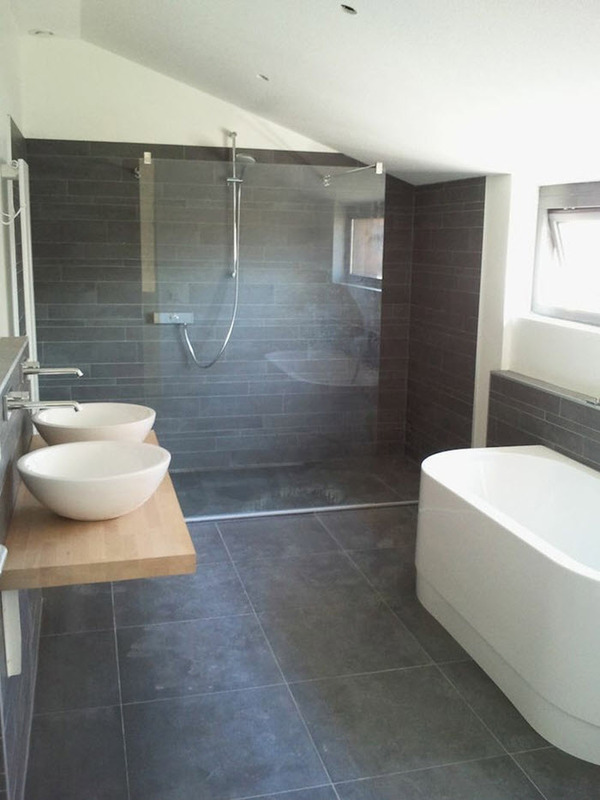 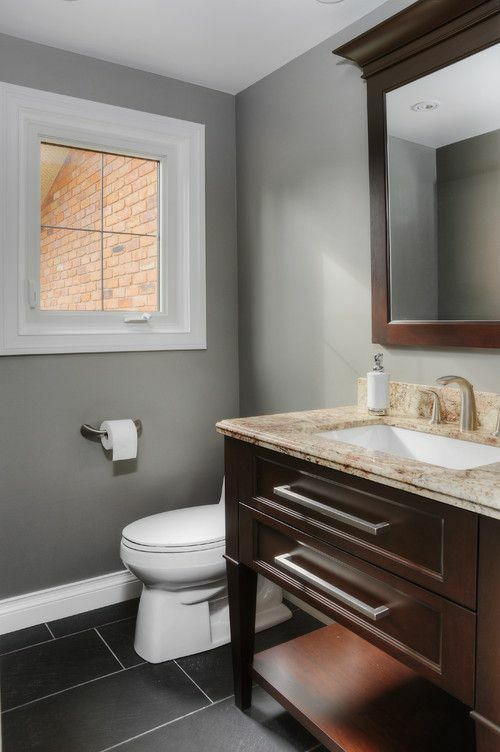 Completely grey bathroom is not the solution for everyone. 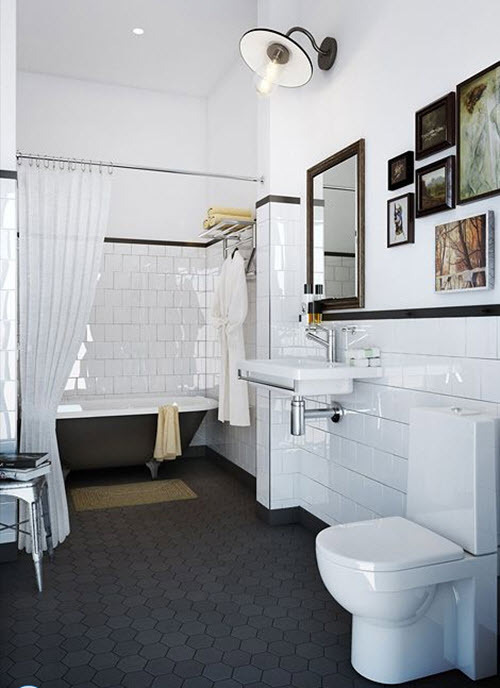 Some people think this kind of room would look too dull and would lack of color. 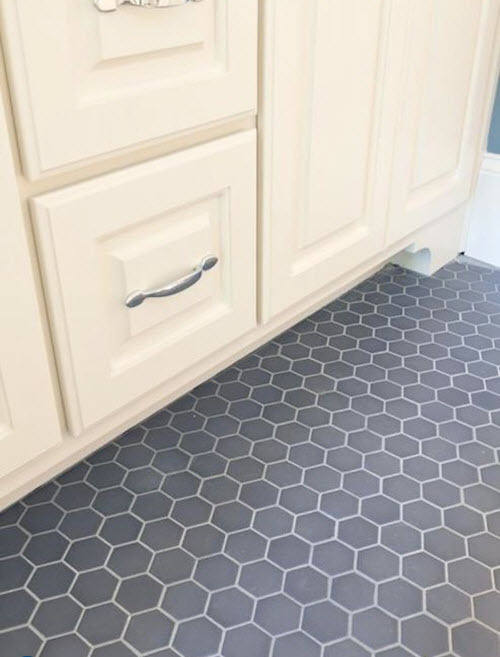 If you are this type of people then using grey on the floor only is your variant. 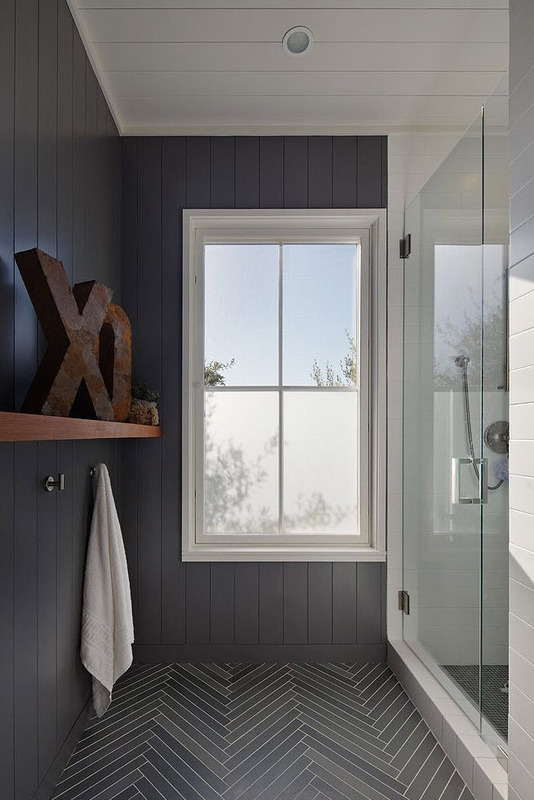 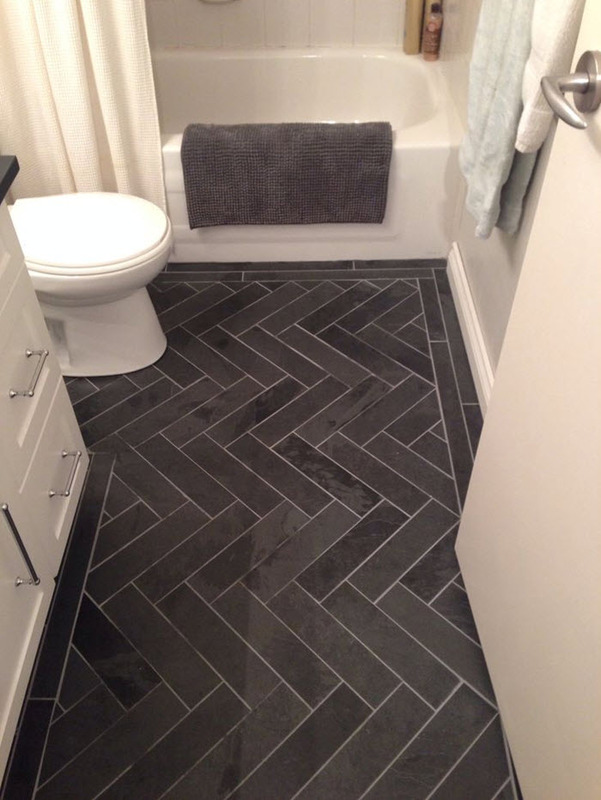 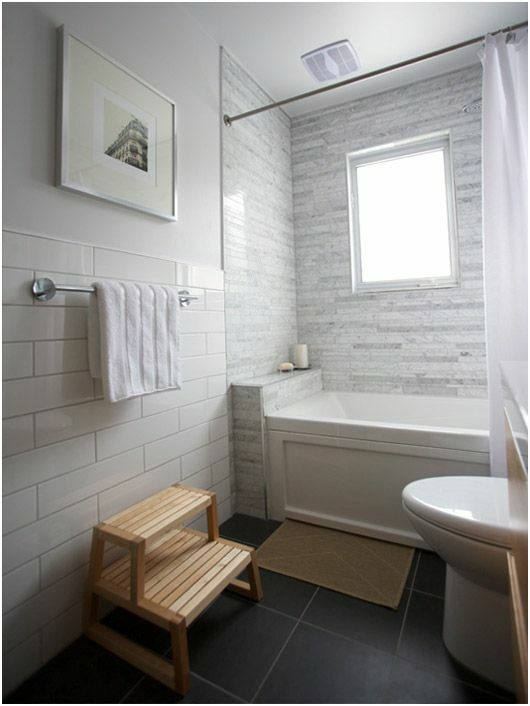 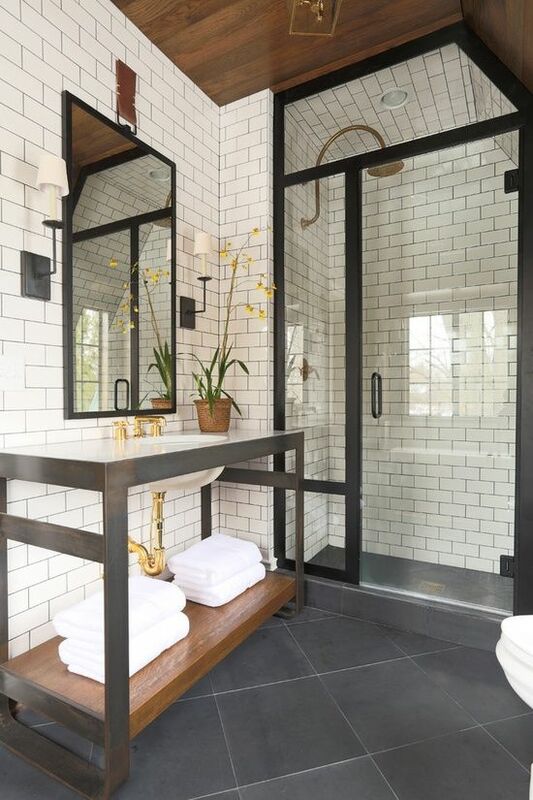 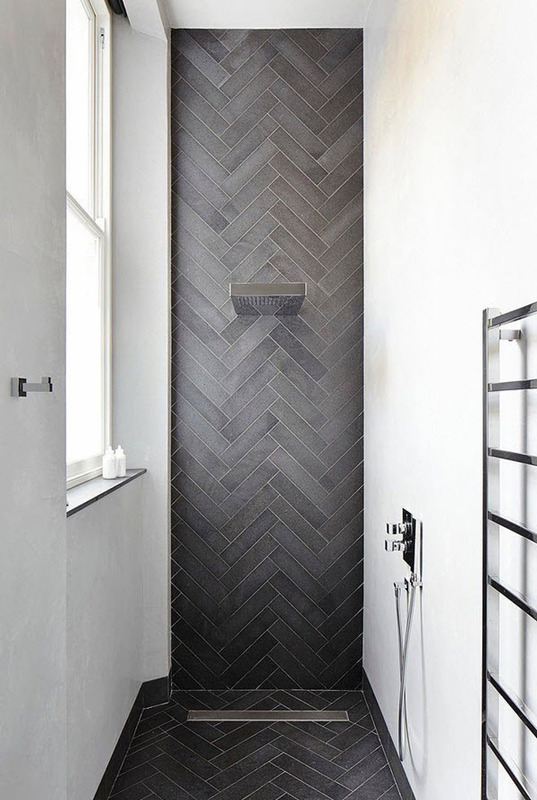 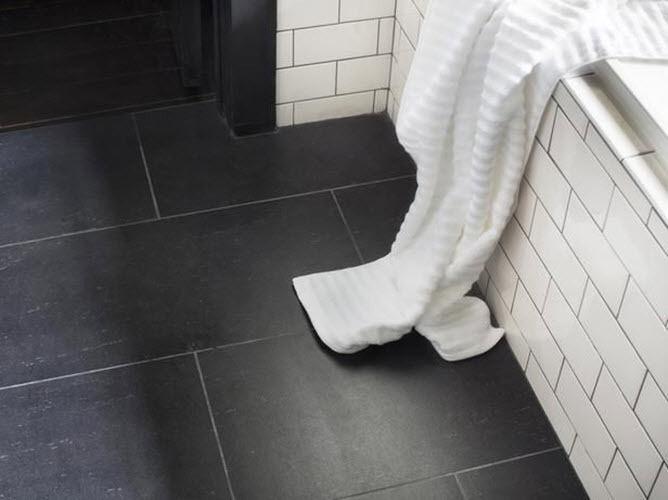 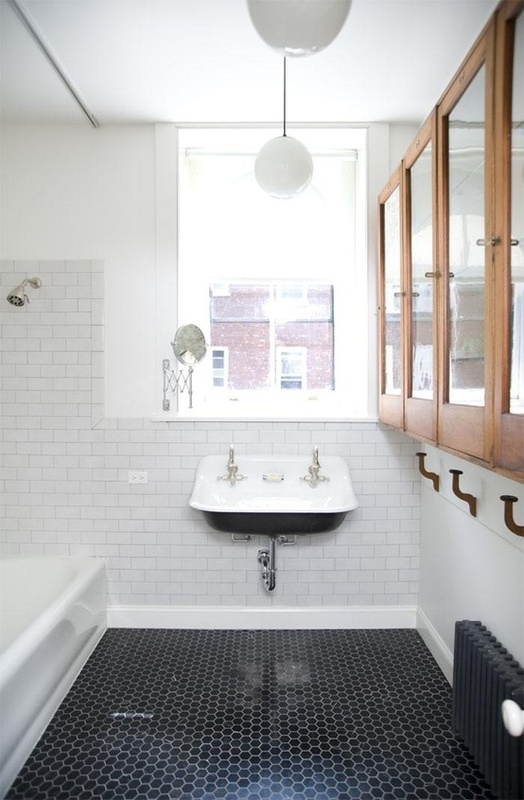 Dark grey bathroom floor tiles can be different – from typical slate tile to more “exotic” alternatives like subway tiles under your feet. 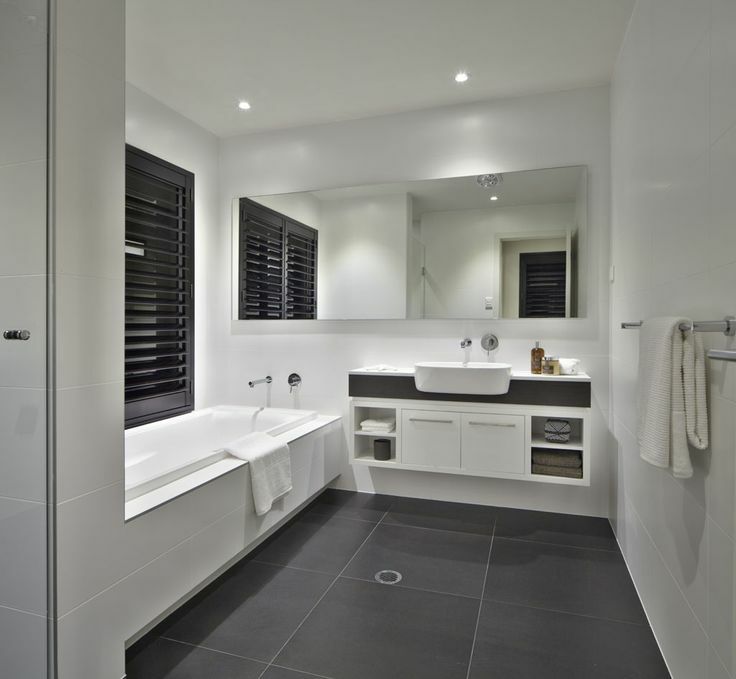 It’s up to you to decide which is best. 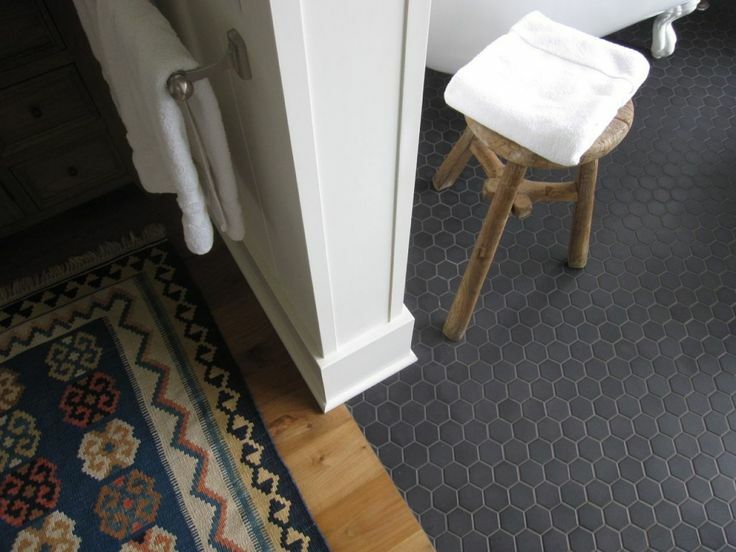 Either way, dark grey is the perfect color for the floor as it will help you hide defects and dirt. 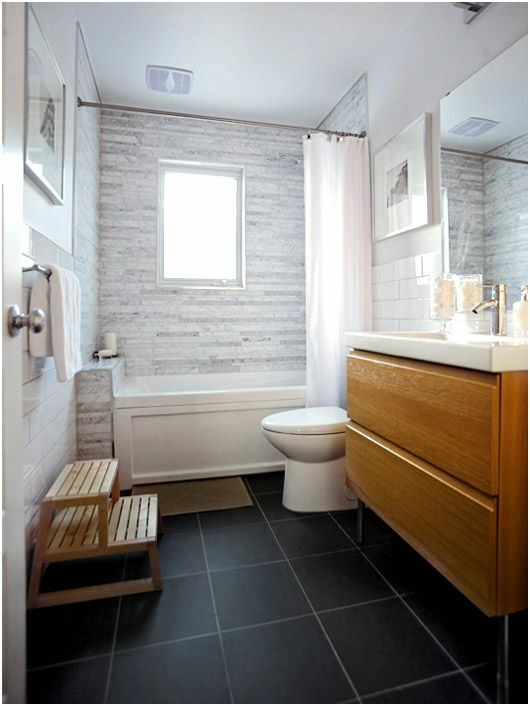 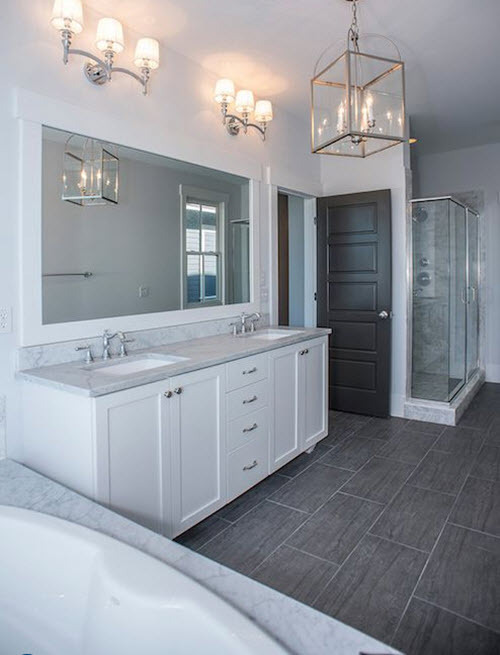 Besides, ceramic or slate tile is easy to wash and dark color beneath will give you the opportunity to experiment with lighter shades on the walls or even play on contrast. 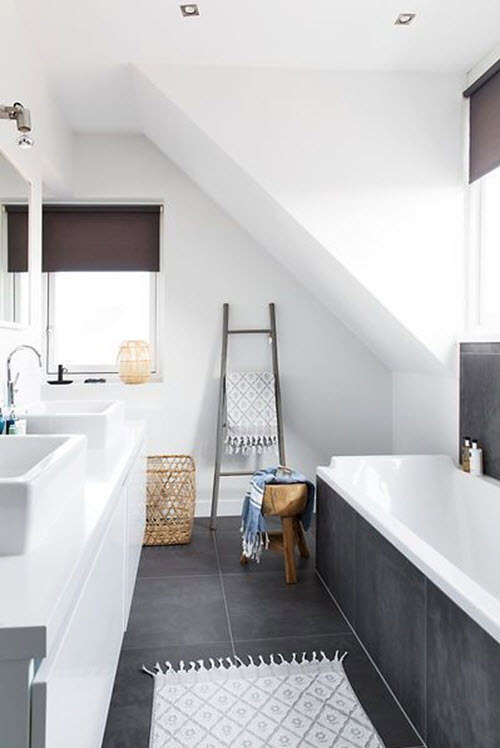 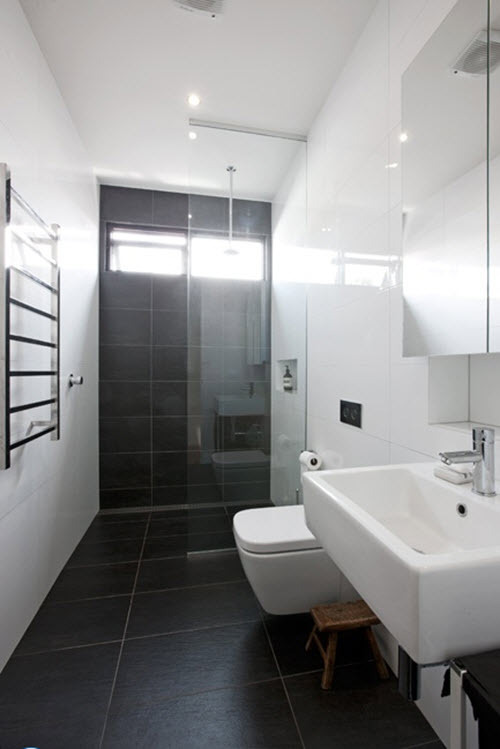 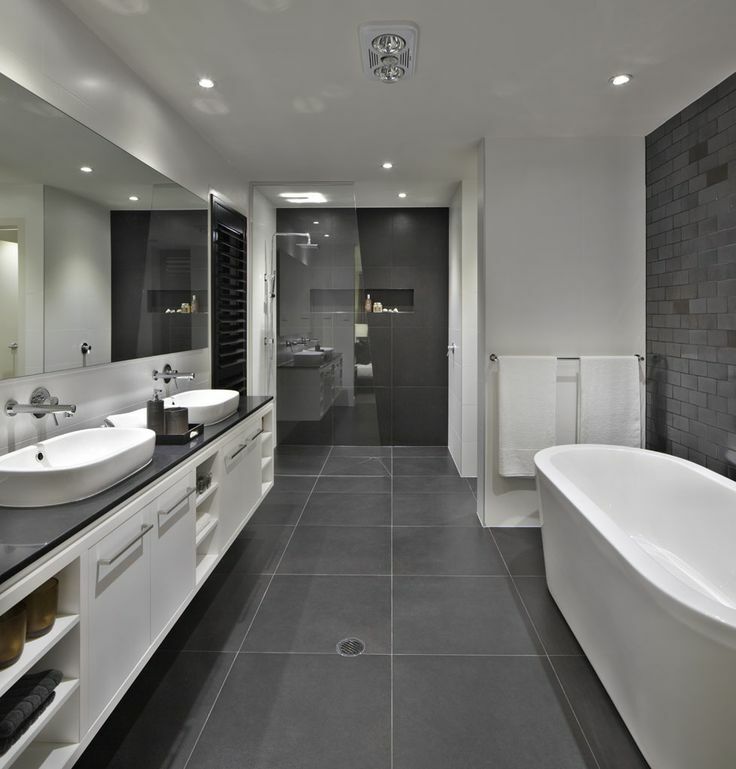 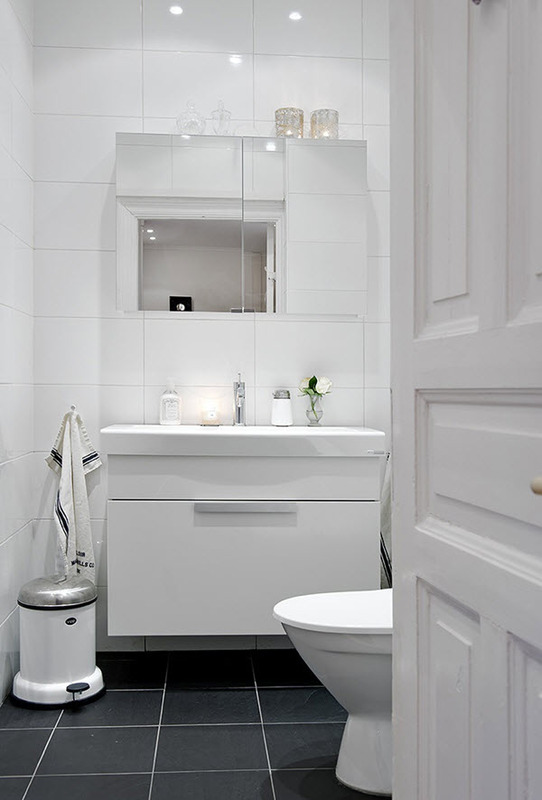 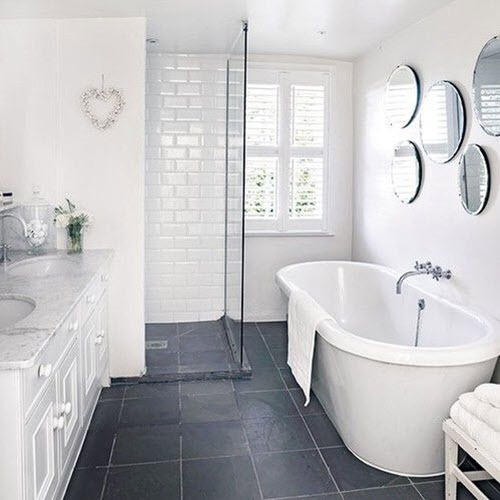 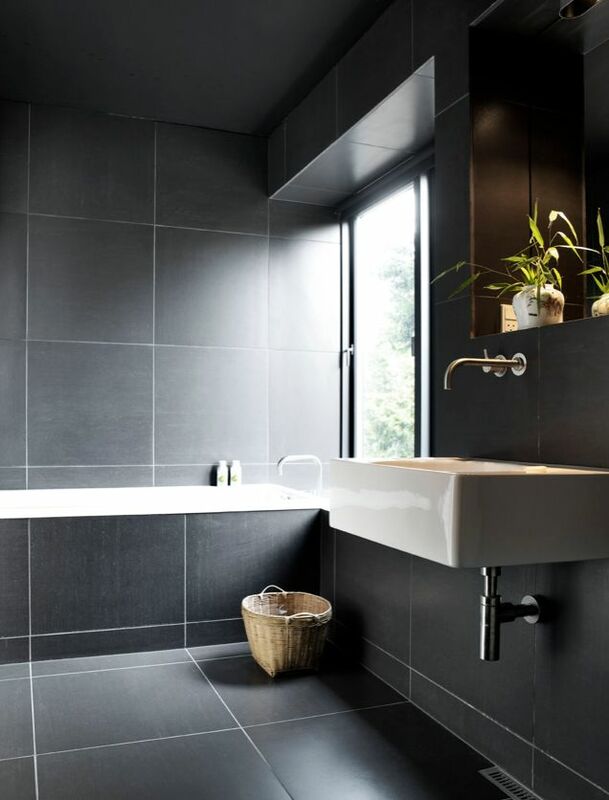 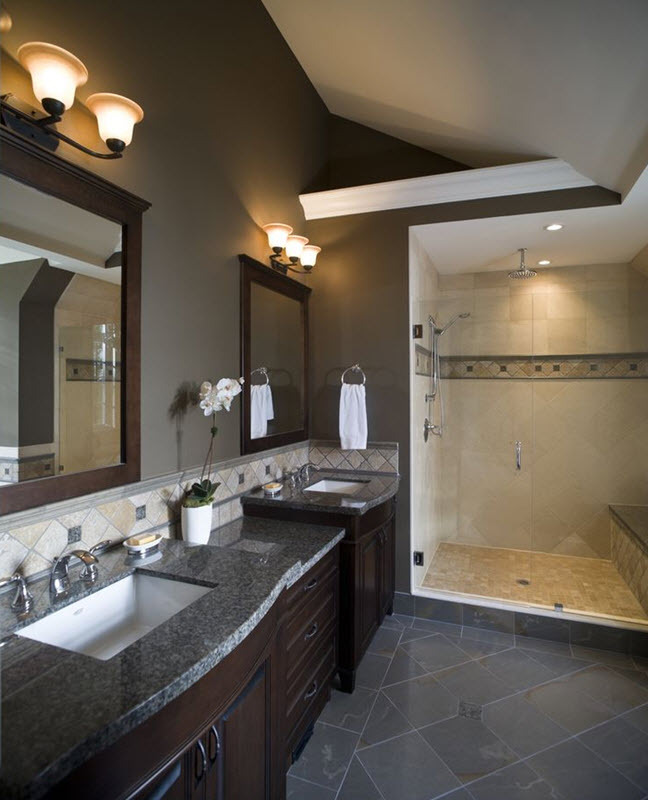 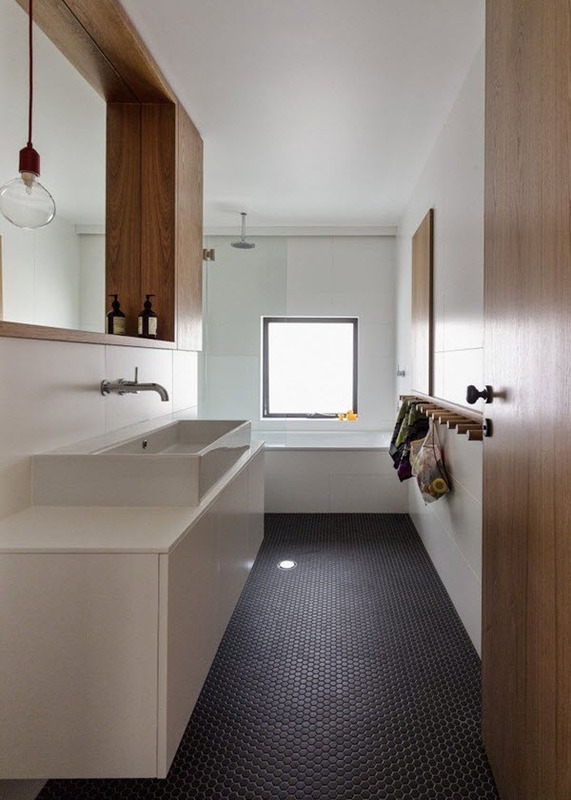 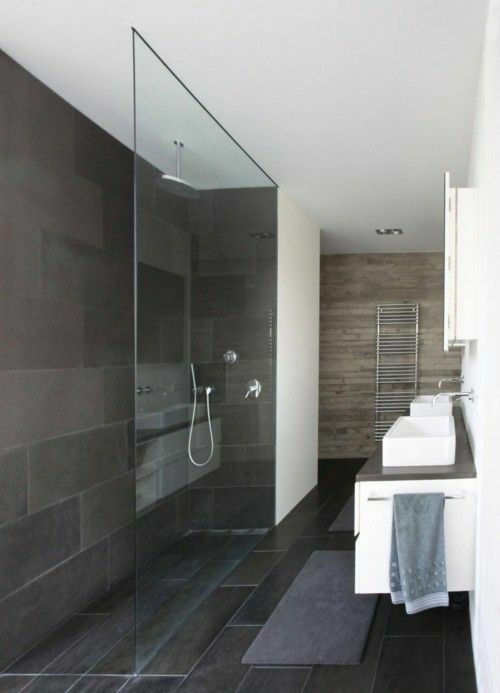 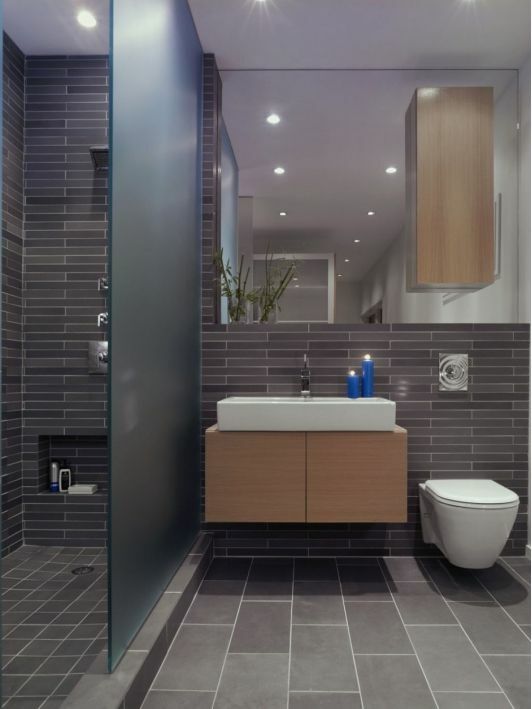 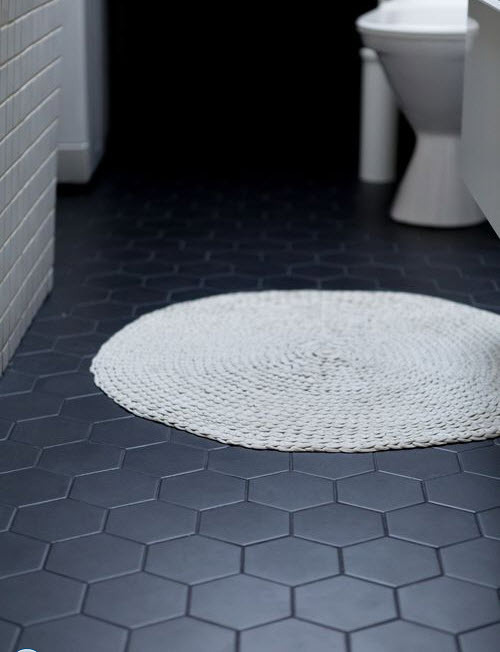 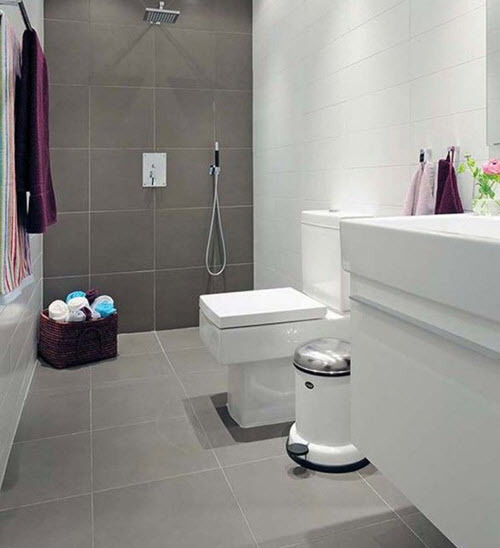 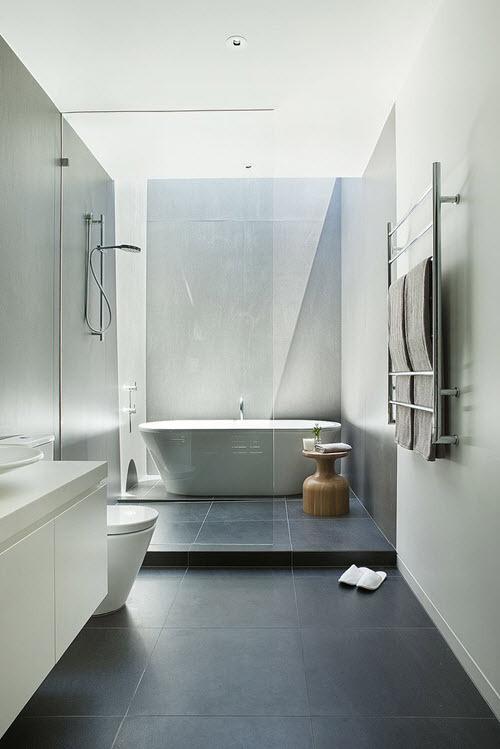 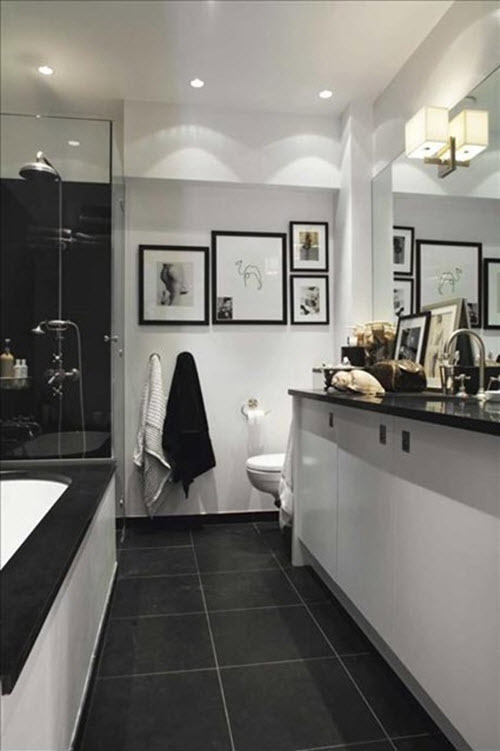 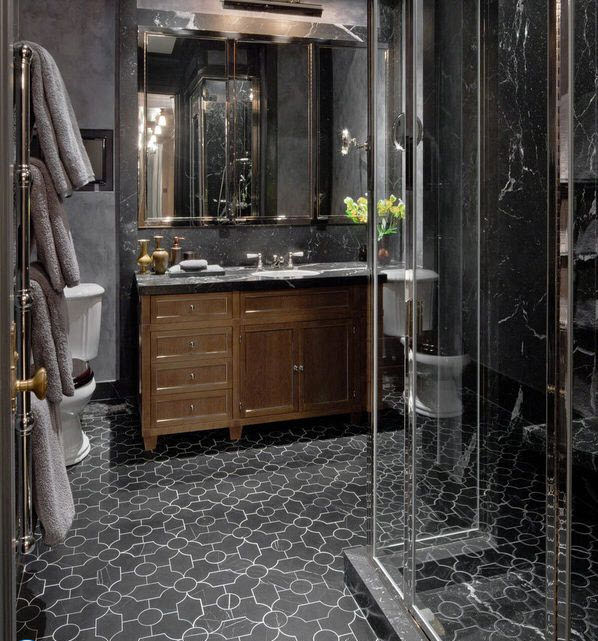 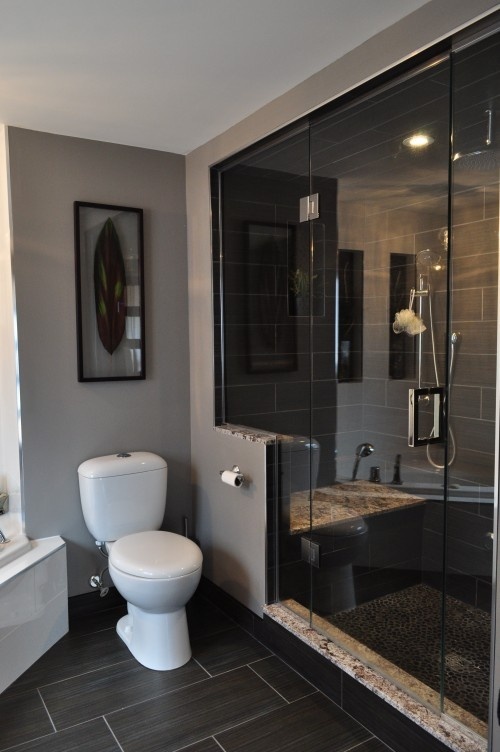 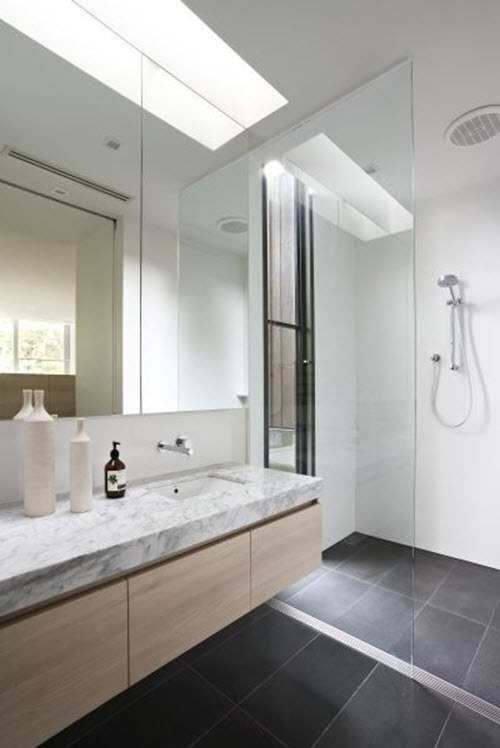 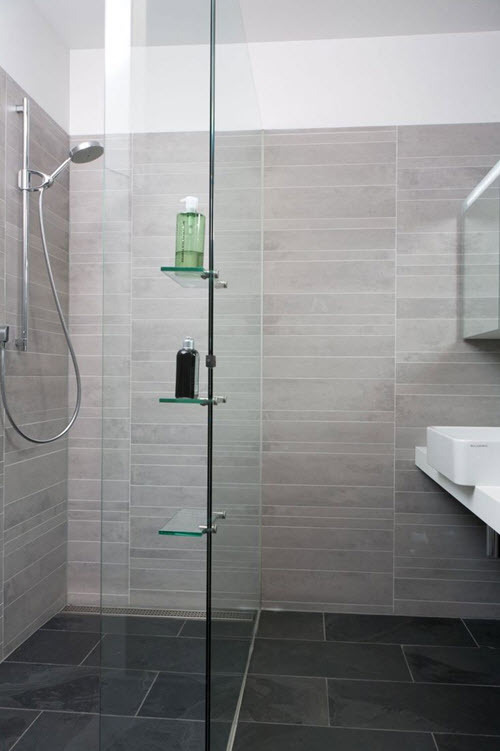 If you feel difficult to make the right decision concerning dark grey on the bathroom floor we invite you to our gallery below where you’ll find a lot of interesting ideas on the topic.